It’s Chinese New Year to day, so let’s have a Eastern spirit and let me introduce you “The Tao of Pooh” by Benjamin Hoff. So passing beyond this little reluctance I bought the book. In the beginning I was quite disturbed by the form of the writing. To be honest reading a book in English is always a bit of a challenge for me and if the writing is not very easy and traditional, I can be lost quickly. 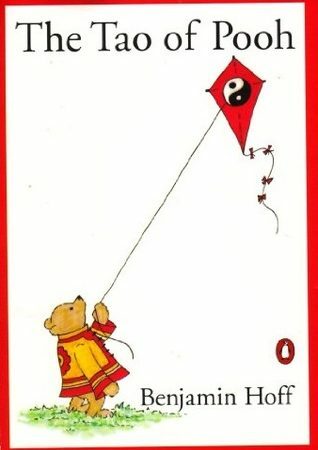 The author explains Taoism through the Pooh stories, and it’s done very well. But sometimes Winnie-the-Pooh appears as if he was in the same room as the author and a dialogue starts between them. After the first impression of “what’s going on here”, I really enjoy this imaginary world the author has created. I think it’s brilliant. This book along with Taoism is very inspiring. The only low point I had was the feeling that the author perhaps places too much on the opposition of the Western and the Eastern ways, and can be quite biased. He criticises the Western way quite a lot, although for good reasons and it’s difficult to not agree with him. So there is a feeling that everything is wrong in the West and everything is going so well in the East. With all the respect I have for the East (a deep respect), I am not sure everything is going so perfectly there either, or was so perfect in the past. Obviously, I see all this with my Western eyes and I think my Western ego has been hurt a bit while I was reading this book. Despite my injured ego, I really enjoyed the book and I hope you will do as well. Please let me know what you think, I am curious to hear from you.